If you need to find a way to get your customers or employees to better engage with your Force.com applications, look no further than Badgeville. The popular gamification and behavior management platform has launched a toolkit for the Salesforce platform, which enables companies to build more engaging experiences for their apps built on the Force.com platform. The toolkit allows businesses to layer Badgeville’s game, reputation and social mechanics across their cloud applications in order to improve loyalty, enhance employee productivity and maximize return on investment from their Force.com apps. In fact, Badgeville claims that companies including Docusign, Autodesk, Engine Yard and Phoenix Idea Labs have already implemented its Behavior Platform on top of their Salesforce applications, which has resulted in increased customer engagement by 50 percent or more. 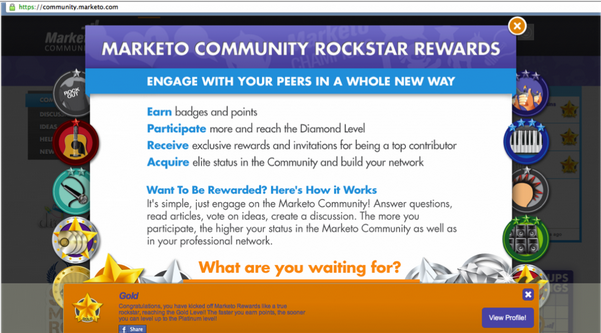 Additionally, Badgeville customer Marketo layered the gamification company’s engagement mechanics across its customer community, which increased its active users by more than 51 percent and user engagement by 67 percent. This means that Marketo’s customers are not only more engaged, but are also learning more about Marketo products, which can be very influential and lead to future revenue opportunities for the company.